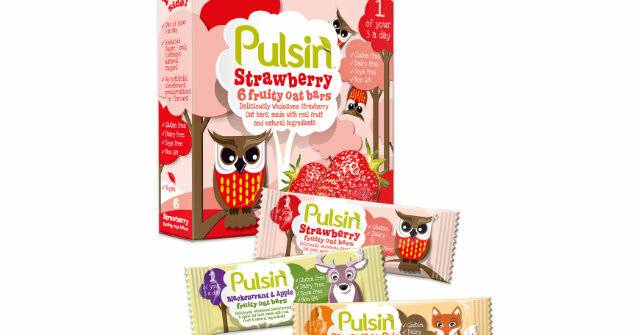 Pulsin’ Kids’ Fruity Oat Bars, are the NEW deliciously wholesome oat bars made with real fruit and natural ingredients which are getting the thumbs up from kids. The news marks the first time the team at award winning Pulsin’, who are best known for making nutritional bars for adults, are using their expertise to make nutritious products for children. Parents need to know: A healthy snack for on-the-go kids and a tasty way to liven up lunchboxes Pulsin’ Kids’ Fruity Oat Bars have reduced sugar and only contain natural sugars. Lovingly created for kids aged three to nine years Pulsin’ Kids’ Fruity Oat Bars are made with a nut free recipe, count as one of their five a day, are gluten free, dairy fee and soya free with no artificial ingredients.